How about a nice bottle of soda pup? This internet meme shows how dogs can look like carbonated beverages. 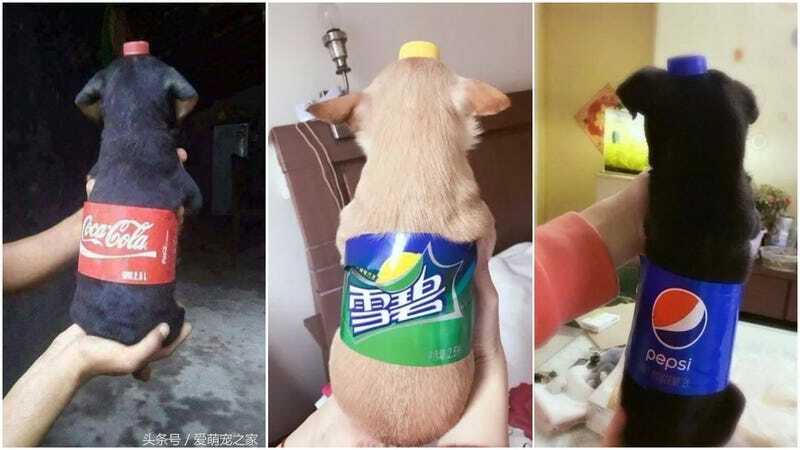 Photos of “dog cola” started appearing on social media sites earlier this year and was featured on major Taiwanese sites like ET Today. The images have also been re-circulating recently on Twitter. Earlier this year, Taiwanese Instagram user Yumiliu526 also posted this viral photo of her shiba beverage. Which then appeared in the news. Here is a round up from websites Sohu and Qianduier. Note: Not all the drinks are dogs! Coke or Pepsi? Cats or dogs? Why must we decide?